The secret to impeccable style is knowing how to coordinate the colour of your clothes. Ever felt to clashy? We at The Idle Man are here to help. The colour wheel is the simplest way to understanding how to combine colours so the result is eye-pleasing and most importantly, flattering. Colour matching is just as important as finding the perfect fit, therefore, we have gathered all the information you need to know. 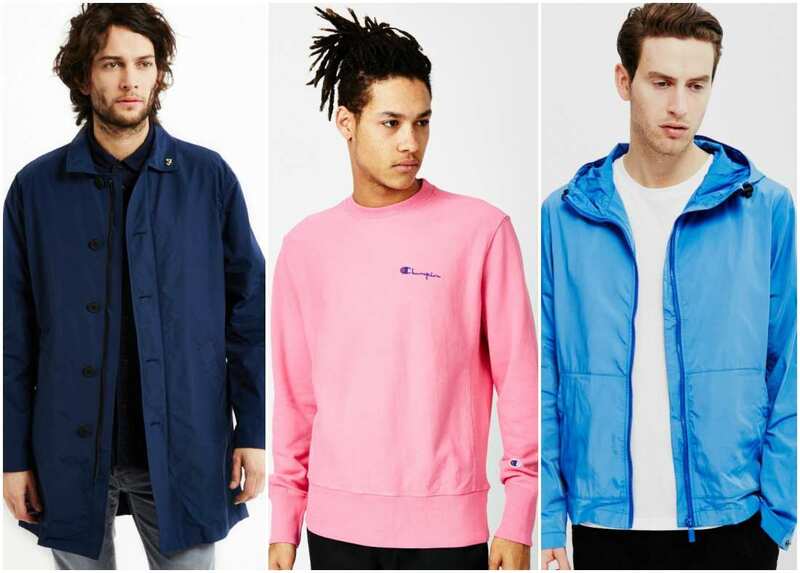 When it comes to colours, men are somehow lost in terminology: fuchsia, turquoise or maroon are not words we would use to describe the shirt we’re wearing. In order to get in-depth and simplified knowledge about how to pick a colour, one must be familiar with the wheel of colours. As always, these are rules adopted and enforced by designers and stylists, however, you need to take into account what works best for your skin tone, complements your style, or is suitable for the event you’re attending. 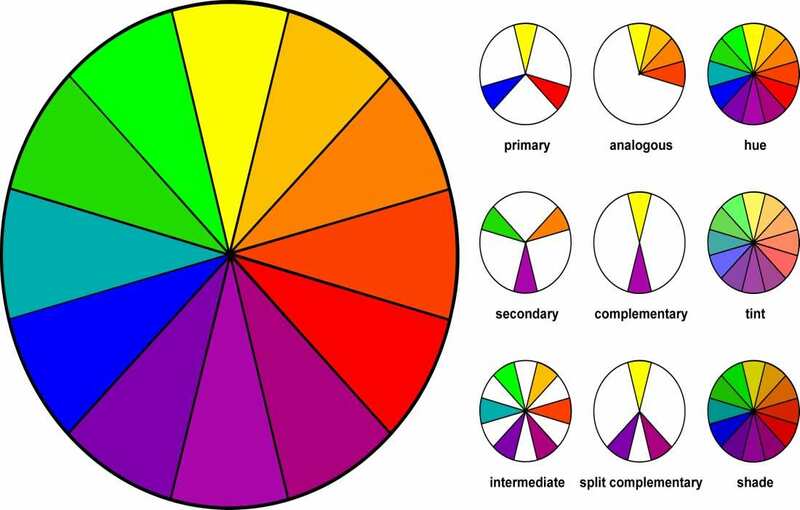 The colour wheel was developed in 1666 by Sir Isaac Newton and it still stands as the base for all colour theories. The wheel established that there are 12 basic colours, known as hues, and two non-colours, which are black and white. Grey, as a combination of the two non-colours, is a neutral, regardless of the degree or darkness or lightness. The 12 hues combined with either black or white can create an unlimited amount of derivate colours called the colour wheel for clothes. Most clothing colours are a muted form of their original hues. They can be lightened by adding white to result into a tint or darkened by adding black to obtain a shade. To understand which colours look better together you need to keep in mind the colour wheel is divided into three parts. Red, yellow and blue are the only colours that cannot be made by mixing any other colours together. They are the strongest hues and without tinting or shading, they come across very harsh on the eye. As they are bright and intense, they are eye-catching – and not always in a good way. On the shelves of a more eccentric shop, you can find a bright red suit, a yellow trench coat or a striking blue leather jacket. You don’t always have to buy it! 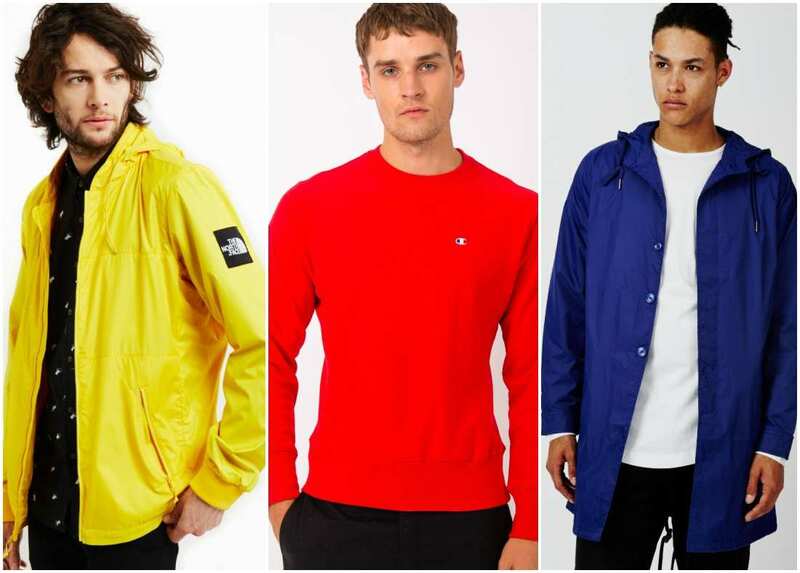 If you are a big time fan of pure red, yellow or blue, use these colours for details or smaller clothing pieces. For instance, choose something that small accents of the unaltered primary colours: a bowtie, a scarf, or a pocket square. 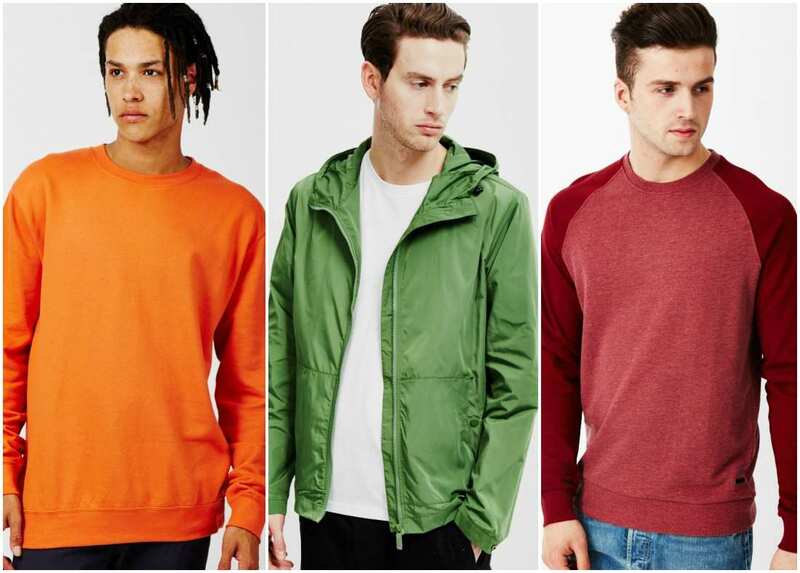 If you do end up purchasing a bold piece of clothing that contains any of these colours, pump up your confidence and allure and don’t let it wear you. A bold blue blazer can be an amazing item and so can a vivid yellow pair of shoes worn on a summer day. Each of the three secondary colours is the result of combining two primary hues. Yellow mixed with blue becomes green, red mixed with yellow becomes orange, and red mixed with blue becomes violet. The secondary hues are direct opposites of the primary ones, therefore, they are complementary colours. A combination of complementary colours usually pops up and is very much noticeable. The eye notices a complementary outfit even better than it notices patterns, for instance. A common mistake is combining two large complementary clothing pieces thinking they will complement each other. A pair of blue trousers won’t look good if matched with an orange jacket, in the same way, a pair of red shoes won’t save green suit. The best way of using the power of complementary colours is to develop an eye for details. For example, match a green pair of shoes to red shoe laces. If you have a blue blazer, get an orange pocket square, or purchase a violet shirt with yellow buttons. All these options might sound too adventurous but if you keep the rest of the outfit plain, it will work wonders, and you’ll get noticed in the best way possible. This is where you actually need to pay attention. The key to improving your style is knowing your intermediate colours, also known as tertiary. These hues are not tints or shades of the primary and secondary hues, but colours in their own right. And if you really think about it: are you more likely to buy yellow or yellow-orange trousers? Are you ever going to purchase a violet jacket or will you rather go for blue-violet? Because some of these hues are not as strong as their brighter sisters, are easier to incorporate into your wardrobe and pull them off with no effort. Knowing the tertiary hues will also teach you what to stay away from yellow-green and red-orange. When expanding ones dressing style, a man needs to pay attention to several aspects: proportions, the fit, fabric quality and the clothes colour combinations. 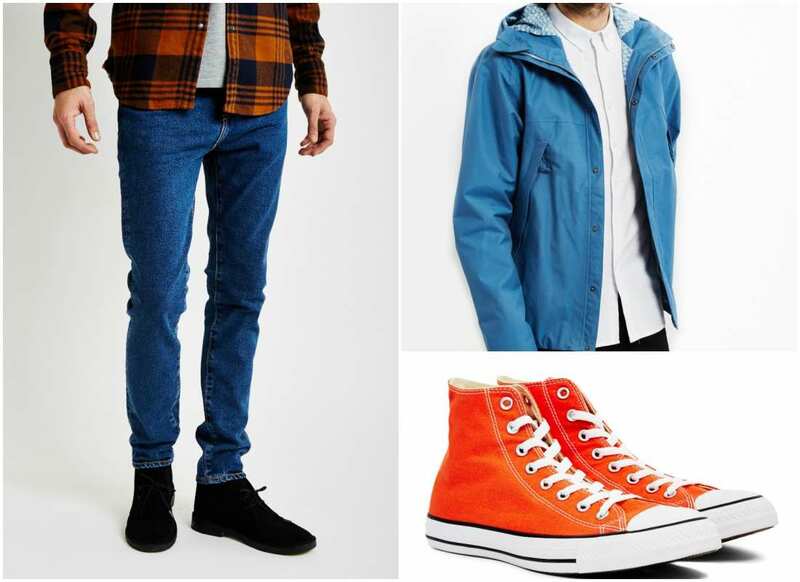 Mixing colours in a visually pleasing manner is essential for the man who wants to pull off any look, in any situation. 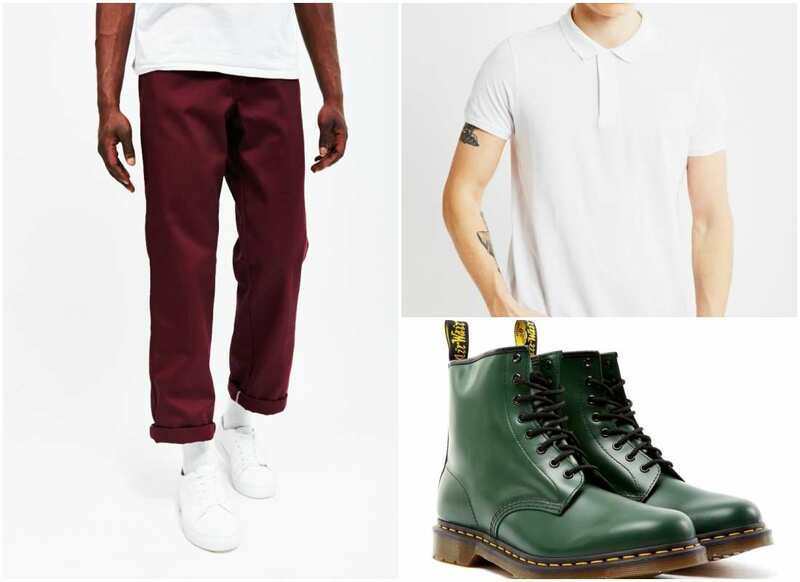 Mismatching colours can lead to wearing a chaotic and out-of-space outfit. The line between completely owning a look and getting lost behind hues, tints and shades are almost unnoticeable. 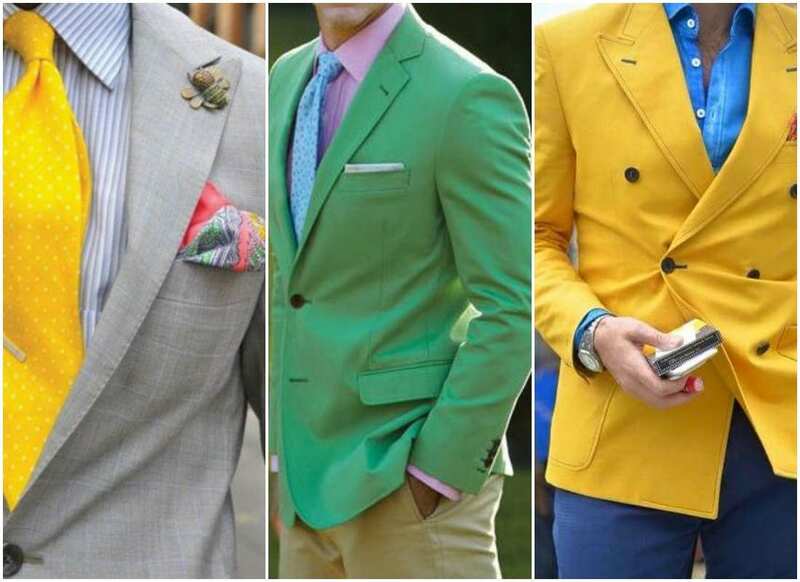 In theory, many colours don’t match well with each other and there is even a Three Colour rule which states a man should never wear more than three colours at once. In practice, it’s a different story! Colours find a way to coordinate with each other. If you’re brave and have exquisite taste, you can succeed at combining an endless number of clothing items if the hues, tints and shades blend together in a harmonious manner. This takes practice, a bit of study, and access to various clothing lines. Most people stick to the three main colour schemes that are generally considered the safest and most efficient means of avoiding a disastrous combination. The three schemes are complementary colours, triad colours, and analogous colours. These colours are directly opposite of each other on the colour wheel. They create a bold contrast and are catchy. As mentioned above, the best way to complement colours is by having a dominant clothing piece in one colour and smaller details or accessories in the other. On the colour wheel, any three equidistant colours can form a triad scheme. Visually, this creates the most balanced form of contrast. The triad scheme is best when you intend to layer your outfit, wear a three-piece suit, or when you enjoy wearing a few accessories and want to keep a pleasant balance. The analogous colours are placed directly adjacent on the wheel of colours. This creates a safe, minimal contrast perfect for when your clothes are of similar colours. This scheme is most useful for a fancy-formalwear combination where guests are not restricted by a black tie attire. All the above are great, and work really well in general when you are trying to think of what colours work well with what. However, there are specific mens clothing colour combinations that work well for men in particular. 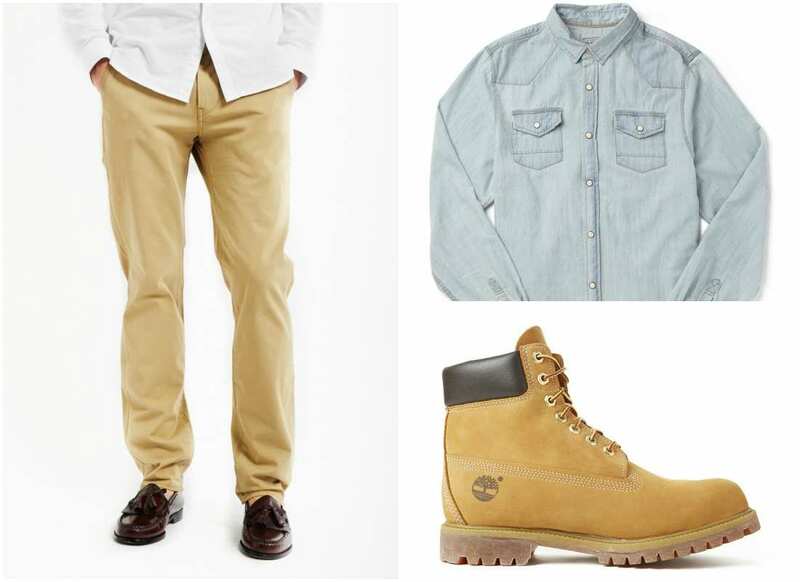 Now mens dress combinations don't have to be boring muted tones when it comes to dressing for work. When it come to dressing for work try wearing a grey suit and pair it with burgundy or blue accessories. One of the best colours to go for when you are looking for a smart look is camel. Camels and browns go exceptionally well with blues and burgundies to make a very chic outfit. With casual colours we delve into the realm of excitement. Here we can start adding in bright colours such as oranges and greens. Great for summer try wearing your blue jean shorts, with a orange tee and white trainers, this sounds simple but you'll see how much the colours pop and compliment each other. Keeping in mind to choose the right colours should be like second nature for the guy who wants to dress well. The key to a successful outfit is finding a balance between all the hues, tints, and shades. All-black might be flattering for anyone’s shape or tone, but a bit of colour never hurt anybody. This is the best time to experiment and find out what works best for you. In case you are ever in doubt, stick to Sir Newton’s wheel of colours. It’s been around for a few centuries for a reason!